Ruby Rose Turner is an actress, dancer, singer and model who began her professional career at the age of 7 as a dancer on an episode of Univision Miami’s longest running hit TV show, “Sabado Gigante.” Ruby was a competitive dancer for four years winning several small group National Champion award titles prior to working professionally in the entertainment industry. She has appeared twice on ABC’s “Dancing With The Stars” and recurs on Season 2 and Season 3 of “Fuller House” on Netflix as Joey Gladstone’s oldest daughter, Phyllis Gladstone. 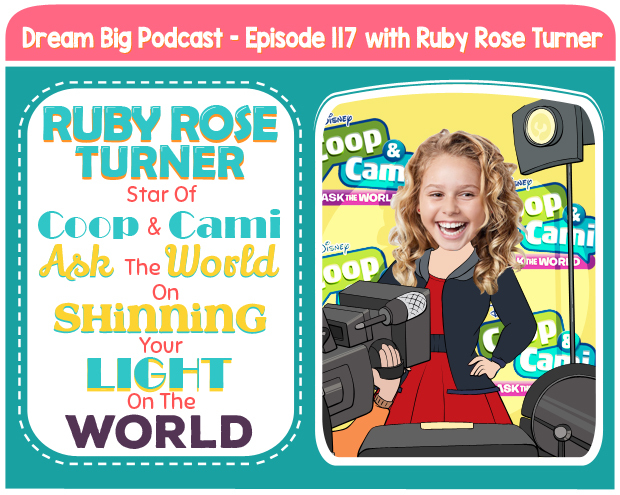 Currently, Ruby stars in the Disney Channel series “Coop And Cami Ask The World,” in which she plays the title role of Cameron “Cami” Wrather. 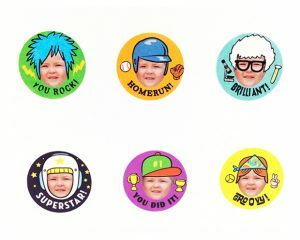 The live-action series follows the antics of middle-school siblings Coop and Cami Wrather, who co-host Coop’s popular online show “Would You Wrather” and present out-of-the-box questions and results to the show’s millions of followers (aka Wratherheads) who help them solve life problems – both mundane and madcap. Whatever the question or result, Coop and Cami tackle adolescence and everyday family situations with humor and heart. When Ruby first realized her love for performing. How hard Ruby trained and how much time she spent practicing her dance routines. How Ruby feels when she’s performing. Why Ruby dressed up as Lucille Ball last halloween and why Lucille is such an inspiration to her. Ruby shares what she loves about the I Love Lucy show. Ruby shares the concept of her exciting Disney Show, Coop and Cami Ask The World. Ruby shares what kind of team effort goes into creating a single episode of her Disney show. Ruby and Eva played a “Would You Wrather” game. Ruby shares what she love most about her new song, Ruby Rock, and her experience recording it. How Ruby deals with cyber bullies and people who say cruel things about her. Ruby’s Big Dream for the future. 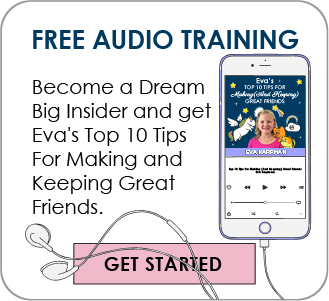 Ruby’s trait that has enabled her to take her big dreams and make them a reality.